VICTORIA — British Columbia's Green party says it will introduce a private member's bill this week that backs ride sharing, despite long-standing roadblocks from the Opposition Liberals and the governing NDP. 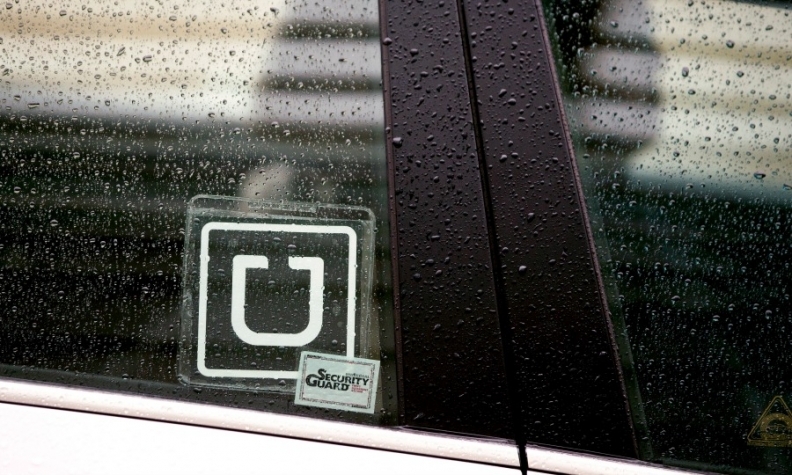 The Green’s transportation spokesman Adam Olsen said Tuesday the arrival of ride sharing to B.C. has been stalled by both the Liberals and NDP. He said the Green party's bill comes to the legislature for the third time Thursday as the Liberals and NDP blame each other for failing to deliver on election promises to implement ride sharing. "Ride-hailing to me is an example of a government unwilling to embrace innovation on both sides of the house," said Olsen. "We saw an Opposition that didn't do it while they were in government. We saw our new government kicking this issue down the road, and I think it's important we have a real conversation about an issue that is now five years old." B.C. Transportation Minister Claire Trevena indicated Monday that ride sharing is at least a year away, despite an NDP promise to bring in services like Uber and Lyft by the end of 2017. The government has hired a consultant to provide advice, with legislation not expected until next fall. Olsen said ride sharing's slow route indicates the unwillingness of the NDP and Liberals to grasp new ideas. "There's a taxi industry. There's a ride sharing industry. There are companies in this province looking to start the B.C. version of this. We need to be preparing B.C. for the future. That means dealing with the recent past and we're not doing any of it." The Liberals and New Democrats exchanged barbs in the legislature Tuesday during question period about the failures to bring ride sharing forward. Both parties promised during last spring's election campaign to have ride sharing up and running by the end of this year. "We want to be constructive and come up with a solution that works for B.C., for the very complex situation we have in B.C.," Trevena said in the legislature. Private member's bills rarely get support from the government. NDP House Leader Mike Farnworth said he's not prepared to comment on legislation that has yet to be tabled. Liberal transportation critic Jordan Study said the Opposition is prepared to work with the Greens when their private member's bill is tabled.